People like to talk about home security a lot, but the term itself is still kind of ambiguous to most of us. How does a home alarm system work? What are its components? What choices does a homeowner have to improve their safety? Let’s talk about everything you need to know about home alarm systems. An alarm system acts as a notifier. In case someone tries to enter your home using force or other methods, the system will alert you or the ones in charge of security that there has been a breach. In terms of variety, there are a lot of different detection systems, the different methods having an impact both on price and reliability. There are two main types of systems. • The first would be an “all-in-one” type model, where the main processing unit, the keypad, and the communicator are all installed in a compact form that’s easy to access. • The second is the classical alarm system, where all of these elements are split in different parts of the home so that it acts more reliably. The components are also usually sturdier and harder to access, meaning that in case of a break in, you’ll be safer using a classical alarm system. Depending on the detection method, a system will have other components, called detectors. Based on the technology, they can be mounted on doors so that the owner gets alerted in case a locked door is being forced or can detect movement and sound. These components can be wired or wireless, but the most common ones for home use are wireless detectors. The control panel can dictate how you customize your security system and how it interacts. You can arm it and have it monitor just parts of your house, instead of all of it, in case you maybe have some guests, or are pet-sitting for a friend. Depending on how much you invest in your home security system, you’ll be getting different sets of features. Even if you do manage to go with a more budget-oriented option, note that most insurance companies offer discounts on their premiums in case of an unfortunate event. Features can include a more up-to-date system which supports smartphone connectivity via an app. Through the app, you’ll be able to check your security logs, arm/disarm the system, customize its functionality, and everything that you would be able to do from your keypad. You’ll just be able to do it remotely. It’s best to have your security system installed professionally, especially if you opt to choose for company-monitored over self-monitored systems. Local Canadian alarm companies can really help you come up with the best system that’s suited for your particular layout. They’ll also help you weed out through lesser systems, making sure that you’re left using something reliable. You can also add different features to your alarm system, so that it can help you detect things like gas leaks and fires, adding to the value of your system and the security and safety of you and your loved ones. Even if the effectiveness of the security system is more or less up to debate, one thing is certain: a home security system is a big deterrent for burglars and investing in one is sure to make your home a less likely target for the burglars. Surveillance equipment is also important, if not for prevention, then for proof. You can connect IP cameras and monitor your estate in real time. While this isn’t as useful as the alarm itself, it can provide added safety and it can help you recover your belongings faster. If you’re insured, video-proof of a robbery will help get your payments faster. 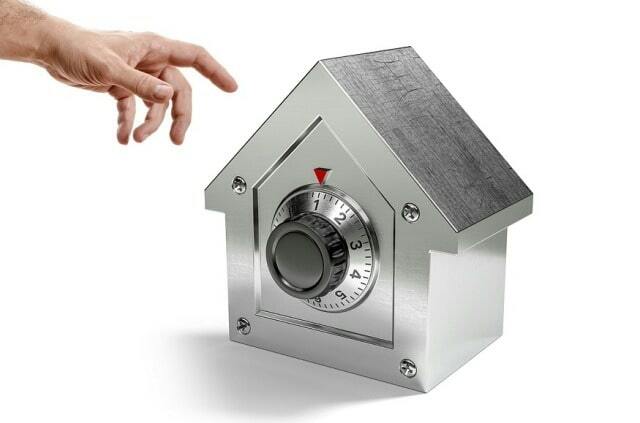 Overall, alarm systems are important if you wish to protect your assets. It doesn’t really matter which type you choose, just make sure that it’s properly installed and covers all of your home’s entrances/exists. I hope you enjoyed this blog post about what you need to know before you get an alarm system and security camera for home surveillance. Interested in more articles about home security and protection?